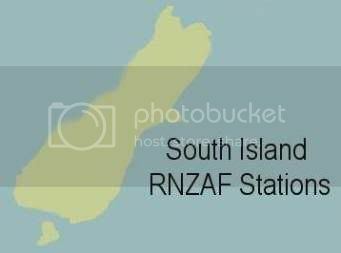 Before the Second World War the Royal New Zealand Air Force, and its predecessor, the New Zealand Permanent Air Force (1923-1934), had operated with just two main stations where its aircraft were located. These were at Sockburn (later renamed Wigram after Sir Henry Wigram, father of New Zealand military aviation), in Christchurch, and at Hobsonville in Auckland. In the 1937 Defence Review, the far-sighted RAF officer Sir Ralph Cochrane recommended the building of more stations. So work began on Whenuapai, just 6km west of Hobsonville, and Ohakea, north of Palmerston North. Each of these new stations were to have concrete runways and two large blast-proof concrete hangars. Both were designed to operate heavy aircraft like the Vickers Wellingtons that were then on order to re-equip the RNZAF. A fifth station was also built at Woodbourne, near Blenheim, which was to become one of the main flying training stations of the RNZAF. But by the outbreak of war on the 3rd of September 1939, of the three new stations only Woodbourne was ready and operational. Ohakea was very close behind, and actually accepted its first aircraft landing on the 29th of September 1939. But Whenuapai was still under construction and would not be ready till early 1940. It was soon apparent that with the mobilisation of airmen, and the need to train them, more new stations were needed quickly. This gave rise to three kinds of new RNZAF stations. The first type of new station was the commandeered aerodrome. This was the taking over of civilian aerodromes, airline and aeroclub hangars, and all their facilities. This happened progressively through the early stages of the war and saw aeroclubs at places like Rongotai, Omaka, Mangere and Rukuhia become RNZAF Stations, and their facilities were expanded. Barracks had to be built, and mess halls, new hangars, and all the other amenities needed. Meanwhile civil aircraft like the popular aeroclub de Havilland Moths and Tiger Moths were impressed to become the central core of the four Elementary Flying Training Schools, and other airline, aeroclub and private aircraft types became RNZAF property too, serving in roles from reconnaissance to training to communications, etc. The second type of new RNZAF Station was more expensive - all new facilities built from the ground up in new locations. 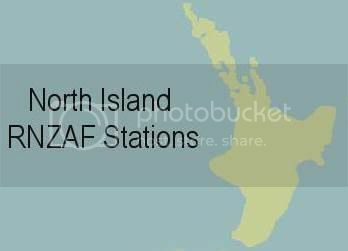 These included the likes of RNZAF Station Te Rapa, where farmland was selected and a station was built to meet a specific requirement. And the third type is probably the least remembered, where actual city premises were commandeered and RNZAF Stations moved into the central business districts of a town or city. This happened in places like Hamilton, Rotorua and Gisborne. Usually garages - no longer needed as there was petrol rationing and all the mechanics were in the Armed Forces - became RNZAF workshops, and office space and other buildings were used, for RNZAF admin and stores, etc. Hotels were commandeered and these became barracks. Some new facilities may have been constructed but generally these stations blended into the city and by war's end simply shut up shop and the premises returned to civil hands. "For the first three years of war, until the 1942–43 burst of defence construction activity in preparation for a possible Japanese invasion and to accommodate United States forces, the largest construction expenditures tended to be those on behalf of the RNZAF. This work involved mainly the construction of new airfields and stations." "The building programme necessary to meet the requirements of the War Training Organization was commenced, and soon afterwards had to be revised to cope with the needs of the Empire Air Training Scheme." "By March, 1941, the construction to the requirements then visualised had been completed, or was in hand, at the following fourteen stations, at a total approximate cost of £4,448,000. New Plymouth, Whenuapai, Hobsonville, Ohakea, Levin, Woodbourne, Harewood, Wigram, Taieri, Omaka, Tauranga, Nelson, Waipapakauri, and Rongotai." "The expansion necessary to meet the Japanese threat, and the need to accommodate the large numbers of United States air units which it was proposed to base in this country, necessitated a further drastic increase in the building programme in 1942. By March, 1943, some 37 RNZAF stations were in operation in New Zealand, the total construction costs being £11,470,000." If you have any information about these stations, or the squadrons and units that served on them, I would be really pleased to hear from you.